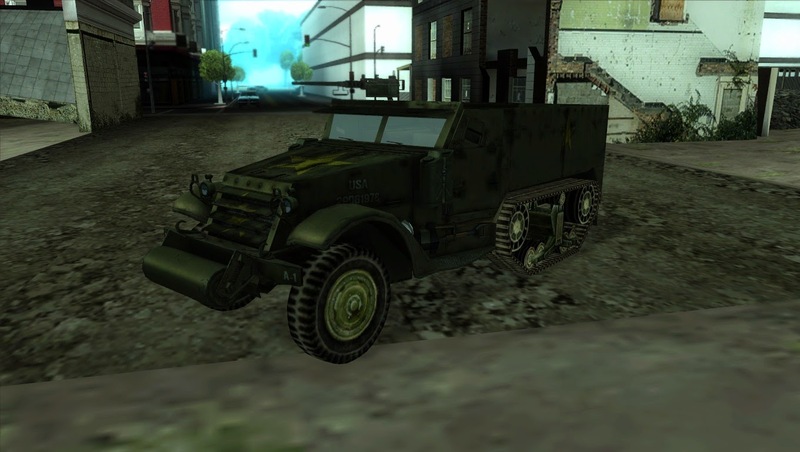 American half-track transporter M3. Model for the project San Andreas At War. 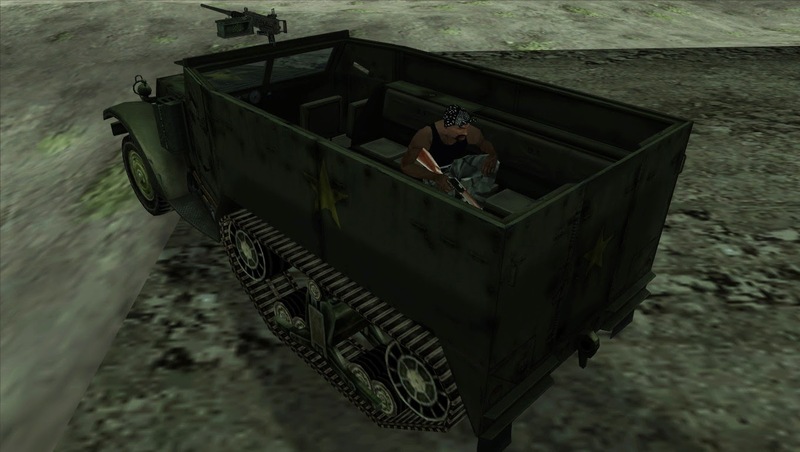 Car body taken from mod to Battlefield 2 Forgotten Hope 2, chassis - from Battlefield 1942.